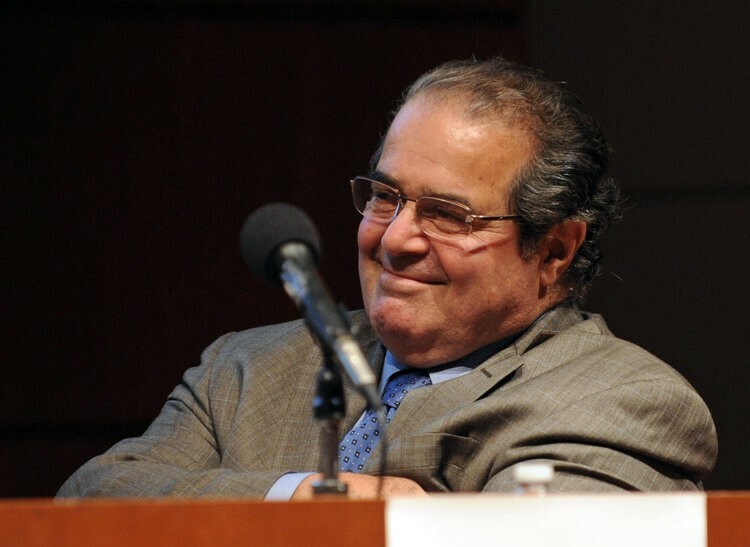 When Supreme Court justice Antonin Scalia and appellate judge Richard Posner were feuding—and come to think of it, I'm not aware they ever made up—Scalia got in what must have been to him the ultimate, if not last, word. That's when he said to Fox News about Posner, "He's a court of appeals judge, isn't he? He doesn't sit in judgment of my opinions as far as I'm concerned." At the heart of the feud was the Second Amendment, as adjudicated in District of Columbia v. Heller, a landmark case that in 2008 overturned the district's ban on private ownership of handguns. Scalia wrote the decision for the Court's five-to-four majority. 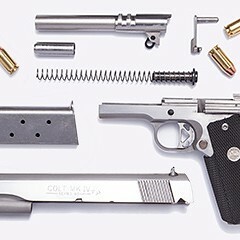 "The inherent right of self-defense has been central to the Second Amendment right," Scalia wrote, and in the view of the American people the handgun is "the quintessential self-defense weapon." In August of 2008, Posner wrote a long essay in the New Republic excoriating Scalia's jurisprudence in Heller. In a nutshell, Posner accused the majority of meddling, for ideological reasons, in a volatile issue better left to the states and municipalities. "Heller gives short shrift to the values of federalism, and to the related values of cultural diversity, local preference, and social experimentation," Posner wrote. "A majority of Americans support gun rights. But if the District of Columbia (or Chicago or New York) wants to ban guns, why should the views of a national majority control? Is that democracy, or is it Rousseau's forced conformity to the 'general will'?" Similar arguments have been raised on behalf of segregated schools. Capital punishment. Abortion bans. Acts limiting marriage to a man and a woman. We think we're right. We may be wrong, local jurisdictions argue. But even if we stand against the rising tide of history we have a right to so stand. We will be swept away soon enough without the federal courts choosing sides. This is a powerful argument, and depending on circumstances I doubt if there is an American who would not make it. With former slaves in mind, the Reconstruction Era's 14th Amendment empowered the courts to choose sides. "No State shall make or enforce any law which shall abridge the privileges or immunities of citizens of the United States," says the amendment, "nor shall any State deprive any person of life, liberty, or property, without due process of law; nor deny to any person within its jurisdiction the equal protection of the laws." On its authority, many (but not all) of the Bill of Right's protections against federal tyranny have been extended to protect us against state abuses too. Posner seemed to expect that this would happen to the new Second Amendment protections Scalia had set forth in the Heller decision. Sure enough: in 2010, in McDonald v. Chicago, another five-to-four decision (written by Justice Samuel Alito), the Supreme Court cited Heller in striking down Chicago's firearms ban. Local pundits who liked seeing the Court give Mayor Daley a bloody nose, whatever the price paid in loss of home rule, jumped for joy. The Second Amendment, I remind you, says this: "A well regulated Militia, being necessary to the security of a free State, the right of the people to keep and bear Arms, shall not be infringed." The ambiguous, perhaps even self-contradicting wording of this amendment has led some critics to denounce it as pretty much the worst written sentence in the Constitution. But Posner, in his New Republic piece, didn't seem to think it was so bad. Its inscrutability allowed for flexibility: the American people's widely varying attitudes about gun ownership could be expressed in widely varying local laws. Heller finds Scalia eager to put an end to that, and Posner's reaction was contempt. 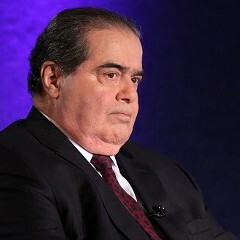 As for Scalia's historical analysis that supposedly justified uncoupling the people's right to bear arms from the general need for a "well regulated Militia" (though the Second Amendment cites one) and coupling it to a personal need for self-defense (which the amendment doesn't mention), this was, in Posner's view "not evidence of disinterested historical inquiry. It is evidence of the ability of well-staffed courts to produce snow jobs." 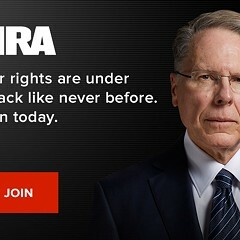 He went on, "There is no greater urgency about allowing people to possess guns for self-defense or defense of property today than there was thirty years ago, when the prevalence of violent crimes was greater, or for that matter one hundred years ago. Only the membership of the Supreme Court has changed." Scalia and his majority were making mischief for ideological reasons, Posner argued, and in the name of "judicial modesty" (which Posner sporadically practices) he protested. That was in 2008. Two years later the Supreme Court decided McDonald, and two years after that Posner found himself staring at the Second Amendment again. He was one of three Seventh Circuit appellate judges reviewing rulings by two downstate Illinois federal judges who'd upheld Illinois law forbidding most people in most circumstances "to carry a gun ready to use (loaded, immediately accessible—that is, easy to reach—and uncased)." (The quote's from Posner's opinion.) Now he had Heller and McDonald to deal with, not to mention the unpleasant legal reality bluntly expressed by Scalia's "He doesn't sit in judgment of my opinions as far as I'm concerned." This time Posner's forum wasn't the New Republic. He was writing for the two-to-one majority that last week struck down the Illinois ban. As a judge, he reports to Scalia. "The appellees ask us to repudiate the Court's historical analysis. That we can't do," conceded Posner, who had done just that for the New Republic. "Nor can we ignore the implication of the analysis that the constitutional right of armed self-defense is broader than the right to have a gun in one's home." 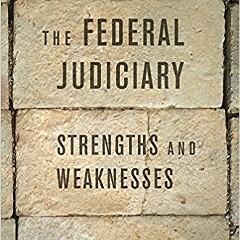 And after a brief survey of precedents Heller had relied on to make Scalia's case, precedents reaching back into ancient English law, Posner as much as shrugged and said, "All this is debatable of course, but we are bound by the Supreme Court's historical analysis because it was central to the Court's holding in Heller." The cases Posner and judges Joel Flaum (concurring) and Ann Williams (dissenting) decided were argued last June. We can wonder about how Posner's mind works. That same month Scalia and coauthor Bryan Garner published a massive book, Reading Law: The Interpretation of Legal Texts, and in August Posner reviewed it for the New Republic. Again he went after Scalia for letting ideology lead scholarship by the nose. "Omitting contrary evidence turns out to be Scalia and Garner's favorite rhetorical device . . ." he wrote. "A problem that undermines their entire approach is the authors' lack of a consistent commitment to textual originalism. . . . In their variety and frequent ambiguity [their] 'canons' provide them with all the room needed to generate the outcome that favors Justice Scalia's strongly felt views on such matters as abortion, homosexuality, illegal immigration, states' rights, the death penalty, and guns." Was Posner letting Scalia have it in the New Republic because he knew he'd soon be obliged to kneel to him in the courtroom? And in writing his opinion, did Posner snipe at Heller but defer to it because he couldn't bear giving Scalia an opportunity not only to overturn him but eviscerate him? These are reasonable questions to ask under the circumstances, but they are circumstances probably to be regretted. Posner himself might regret them, though it's unlikely. Yet he's written, "Justice Scalia is famously outspoken. Is that a good thing for a Supreme Court justice to be? Good or bad, it seems correlated with an increasing tendency of justices to engage in celebrity-type extrajudicial activities." As judicial scholarship goes, Posner's as much of a celebrity as anybody. As a result of his and Scalia's extrajudicial chatter, the nation has, in gun control, an exquisitely painful and difficult issue to wrestle with and two jurists at the center of the legal debate about whom we have to wonder where they're coming from. Posner noted in last week's opinion that a judge in another circuit had recently called the legal realm of self-defense a "vast terra incognita that courts should enter only upon necessity and only then by small degree." Posner went on, "Fair enough; but that 'vast terra incognita' has been opened to judicial exploration by Heller and McDonald. There is no turning back by the lower federal courts . . ."
So he struck down the Illinois law, and before the week was out 20 children and six adults had been murdered inside a grade school in Connecticut and that terra incognita was more aflame than ever. It's not fair to say the rights of gun owners matter more to the Supreme Court than the right of little children to feel safe in their classrooms; but it is true that the Supreme Court has wrestled a lot harder with the rights of the owners. And it's true that in those parts of the country where there is now sufficient will to write gun control legislation, the Supreme Court has significantly narrowed what the scope of that legislation can be. "The enshrinement of constitutional rights necessarily takes certain policy choices off the table," Scalia allowed in Heller. There's a measure of pride and awe implicit in that word, enshrinement, as if the right to bear arms had finally received the consecration it deserved. The spotlight's on Scalia for this achievement, and I doubt if Posner would have it any other way. Gerald Vernon believes conceal-and-carry laws and responsible firearm owners are crucial to keeping people safe—especially in the communities hit hardest by crime.